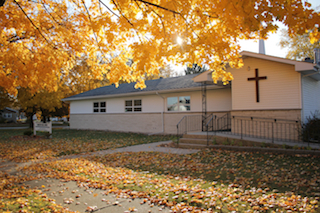 Foundation Bible Church Janesville WI | Foundation Bible Church is located in Janesville, WI. Foundation Bible Church is a gathering of Christians located in Janesville, WI. This site is designed to give you information about our church and how to take your faith deeper (see soul prayers) as well as provide you with information on how to contact us. You won’t need to put on a super spiritual mask to be a part of our church. Come as you are and you’ll fit right in. We value being real and strive to be authentic in all we do. None of us have perfect lives. Some days are better than others. But we are learning that God’s ways are better than our ways and what it means to be people of hope and joy. Our church exists to ignite the faith of believers and to engage the hearts and minds of genuine seekers. We also have a passion to minister to the real needs of people with the genuine love of Jesus Christ. We invite you to come and experience the worship, the teachings, the friendly people and the honest and enjoyable atmosphere that are a part of our community. It is our prayer that no one will ever leave our church without having sensed the Spirit of God. We’re so glad that you’ve taken time to visit our website and hope you’ll take the next step and become personally acquainted with our church family. Our building is at 1805 Foster Ave. off of Blackbridge Road near the Janesville Athletic Club (not far from Taco Bell On Milton Ave). If you have any questions please feel free to contact us through E-mail or our contact form. You can also call us at: 608-774-5200. We look forward to seeing you soon. And come and ask about our Bible Studies, Men’s and Women’s groups, Couple’s Group, and weekly time of prayer and fasting. Come and visit us at 1805 Foster Ave. in Janesville, WI!